Photograph captioned by BeckerFraserPhotos, "Some of the former buildings at Avonside Girls High School remain, as do the magnificent trees which make this site so attractive". 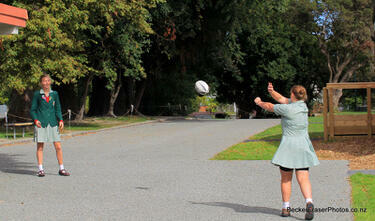 Photograph captioned by BeckerFraserPhotos, "Students tossing a ball at Avonside Girls High School". 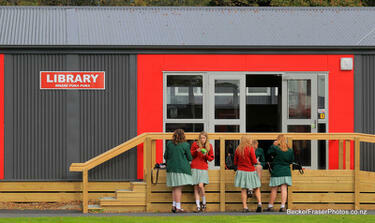 Photograph captioned by BeckerFraserPhotos, "The new classrooms at Avonside Girls High School". 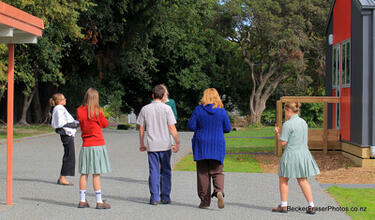 Students from Avonside Girls High School giving BeckerFraserPhotos the thumbs up. The photograph has been captioned by BeckerFraserPhotos, "Once these girls noticed the large camera, we got an enthusiastic reaction from them". 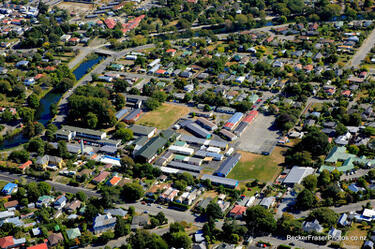 An aerial photograph of Avonside Girls High School in Avonside. 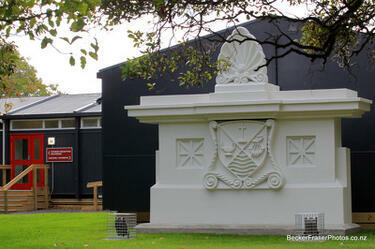 A sign for Avonside Girls' High School on the front fence of Burnside High School. 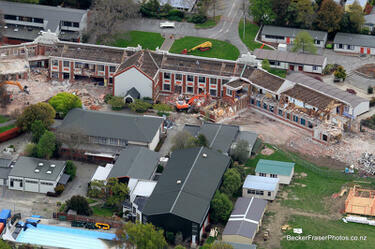 The photograph has been captioned by BeckerFraserPhotos, "Many schools in Christchurch were closed and so those that were available shared. 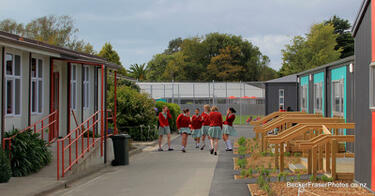 Here Burnside High School shared facilities with Avonside Girls High School. Greers Road". 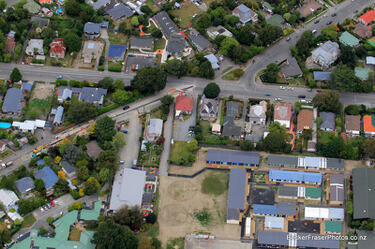 An aerial photograph captioned by BeckerFraserPhotos, "Avonside Girls High School. Woodham Road left to right". 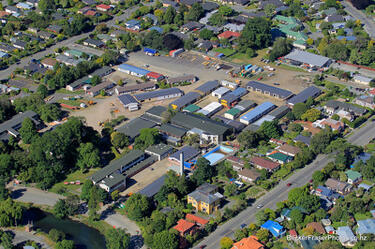 An aerial photograph of Avonside Girls High School. 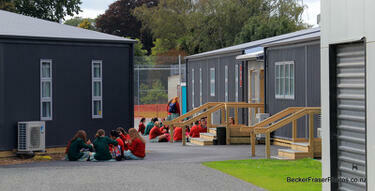 The new staff room at Avonside Girls High School with the new classrooms in the background. 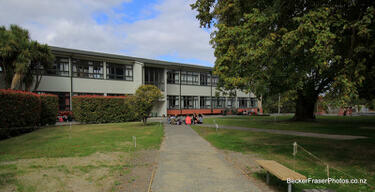 The photograph has been captioned by BeckerFraserPhotos, "Avonside Girls High School staff room. We spoke to two Science teachers who talked enthusiastically about their new Science labs and how great it was to return to their own campus again". 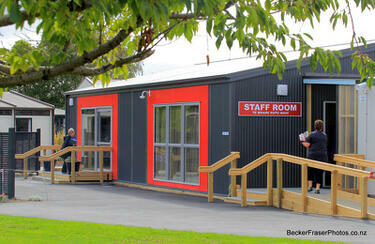 Photograph captioned by BeckerFraserPhotos, "The new staff room at Avonside Girls High School". 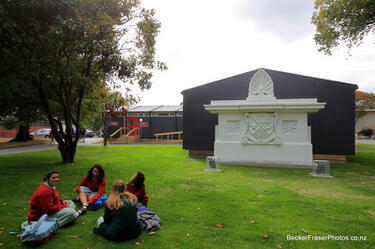 Students from Avonside Girls High School eating lunch outside their temporary library building, built since the earthquake. The photograph has been captioned by BeckerFraserPhotos, "The new buildings are low and brightly painted in strong colours. The mood is similar to the Container Mall Re:Start, with bright colours, low ceilings, and a spacious layout". Photograph captioned by BeckerFraserPhotos, "A group of students eating lunch in front of a classroom at Avonside Girls High School".